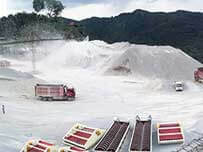 With the rapid development of society, the footsteps of all walks of life are accelerating, so many government departments emphasised that the environment protection is the first, after all,it is our survival environment, there is no good ecological environment how pleasant life will be, with the domestic highway and real estate rising prosperitily the sand is a essential, traditional sand production line not only sand slurry clean and cause a lot of harm to the environment, environment-friendly production of sand id difficult in the industry, the dewatering sand screen is solving the separation of sand industry water, mud and sand. 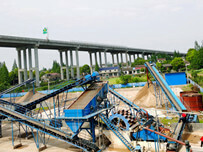 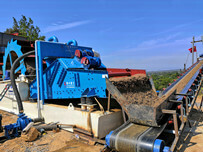 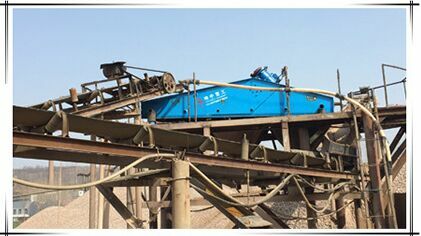 Dewatering screen is my company designing for the separation of sand and water a for the sand plants, it is the core equipment of sand processing plant, general sand’s concentration in 18%-60%. 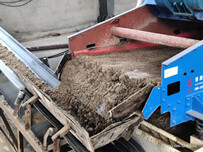 After disposed by dewatering screen, the sand moisture content up to 20% , and even some are less than 12% and can completely meet dry stacking and transportation.